Hi!  I’m Mercedes, a Spanish former lawyer and now a self taught photographer currently based in Zurich, Switzerland. I’ve always liked photography, but it wasn’t until I moved to Sweden a few years ago that I started to love capturing things with my camera. When I moved to Stockholm, I started photographing everything that caught my attention with my mobile and sharing it with my family and friends in Spain. It wasn’t long until I felt that my mobile or my compact camera weren’t enough for me, that I wanted to learn more and be more creative. 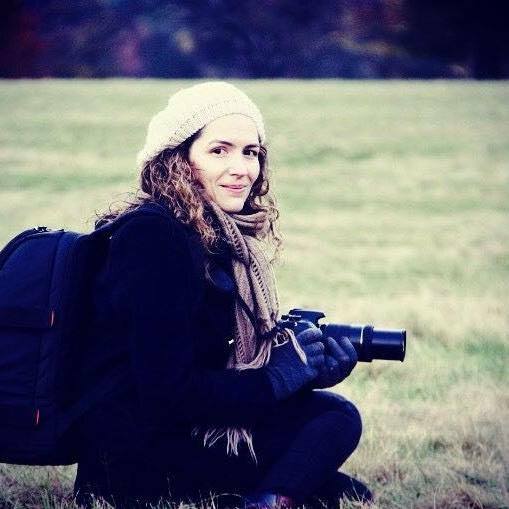 Some years later I moved to Dublin, Ireland, and I got my first DSLR camera, a small Canon EOS 1200d. With it I started to learn and explore the basics of photography and its different techniques and, at the same time, I developed a love for capturing all the beauty that surrounds me with my camera, specially in the cities where I live or visit, the wildlife, etc. Some time later, I found myself with thousands of photos in my computer and I started to feel the need of sharing them. That was the moment when I started writing a photography blog, as a means to share my work and my travels and to keep a record of my evolution as a photographer. Now I enjoy photographing the outdoors, whether that’s here in Switzerland or around the world, and sharing it! Thanks for taking the time to visit my web. I hope you enjoy my gallery and the adventures in my blog!! I am looking forward to seeing you here again!! Landscape Photography Magazine. Issue 70. December 2016. The Last Days of the Ice Giants by Mercedes Catalan. Stade Magazine. January 4th, 2019. The Travellers Blog. A day at a time. A day in the Swiss Alps exploring Lauterbrunnen. Winter Wonderland. Photo gallery in Lodestars Anthology. awesome photography skills you have Mercedes! surely nature is best inspiration for us photographers! Thanks a million for your kind comments!!!! I’m just beginning, using a DSLR for just 1,5 years and I love it! I try to learn as much as possible and try every technic. Mercedes! I must say your composition skills are really good. You’re living in beautiful city. Ireland is beautiful! Any particular subject in nature that fascinate you? I would say that my fav subject is landscape photography, specially waterfalls!! 🙂 But I love to chase wild animals too! It’s very challenging and fun and then I can practice faster photography! I have found wildlife photography quite challenging. you need different equipment to handle it’s requirements. large zoom lenses, faster focussing and fast shutter speed are must. Gosh you are well travelled and your photos show that your life has been greatly enriched by it. I love to see great photos of places like Yosemite that I will probably never see. Lovely look on your website and blog, Mercedes, and your photos are absolutely stunning! Thanks a mil!!! I’m so happy you like it! Well I clicked “follow” just in case because it seemed I wasn’t following (found “follow” in your comment notification). Anyway, hope you are enjoying a nice Swiss summer evening! 🙂 Here, it’s still very warm – yay! Ciao ciao! Hahaha, here is when you can see that sometimes WordPress can be a total mystery for me!!! Are you still using that Canon EOS 1200d? I used to have a EOS film camera and loved it. I am concidering buying a new one – an entry-level one! Well, now not so often, specially when I don’t want to carry a lot of stuff. But it’s still my second camera!! When I don’t want to be changing lenses all the time, I just carry the two cameras, the big and the small. Thank you Mercedes. I’ve checked out on the usual sites and yes, 1300d seems all good! I hesitate with two other cameras: one cheaper (CANON SX540) and one more expensive (LUMIX FZ300). I’ll have to make up my mind before the summer because my actual camera is literally dying! Well, I guess it all depends on what do you want to do with the camera… Because if it’s to shot in automatic mode… then I wouldn’t recommend a DSLR, even if it’s a small one. You end up carrying a camera that, even if it’s not the biggest one, it’s still heavy compared to a compact one… and extra lenses and…. and the sensor gets dusty once you start changing lenses… and photos won’t get marvelous just because it’s a reflex, you’ll have to spend time learning how to edit them…. I know what you mean! I do take photos daily with my mobile phone and it’s fine. The camera I’m looking for is for photos “I’ll take the time to take”. I already have a couple of lenses. As soon as I’ve made up my mind, I’ll let you know. 😉 I want to go to a shop to compare how they feel once in my hands.